Elite women in the Roman world were often educated, socially prominent, and even relatively independent. Yet the social regime that ushered these same women into marriage and childbearing at an early age was remarkably restrictive. 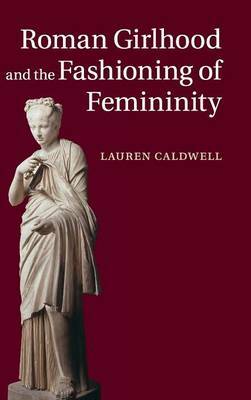 In the first book-length study of girlhood in the early Roman Empire, Lauren Caldwell investigates the reasons for this paradox. Through an examination of literary, legal, medical, and epigraphic sources, she identifies the social pressures that tended to overwhelm concerns about girls' individual health and well-being. In demonstrating how early marriage was driven by a variety of concerns, including the value placed on premarital virginity and paternal authority, this book enhances an understanding of the position of girls as they made the transition from childhood to womanhood.